This postcard from the History Society’s archive is of Devonshire Park in Keighley. It was posted to France on this day (10th August) 110 years ago. 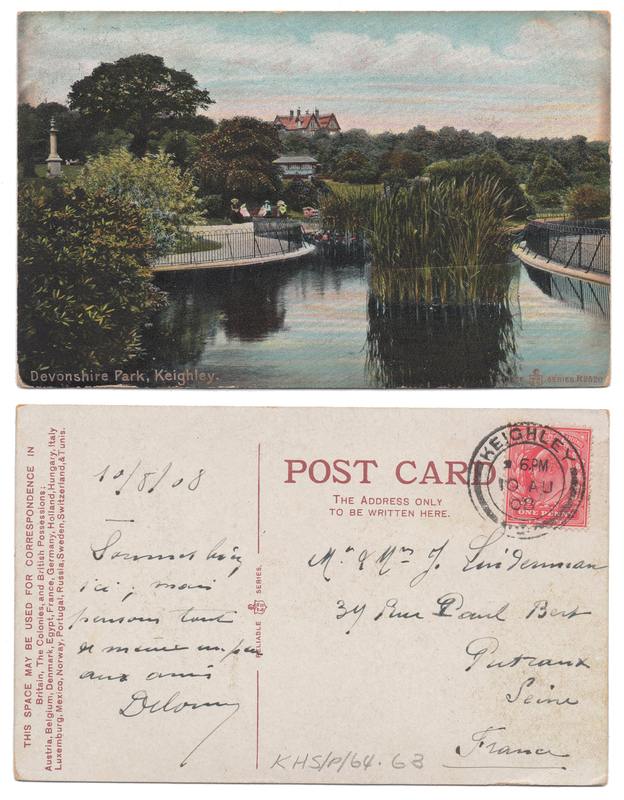 Devonshire Park postcard, 1908. Item held in KDLHS archive.